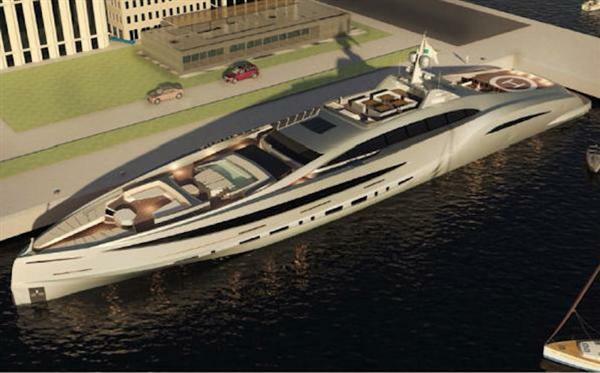 The SSY 125m was designed for owners who want to own an extraordinary yacht with a maximum on luxury, performance and lifestyle on a yacht this size. 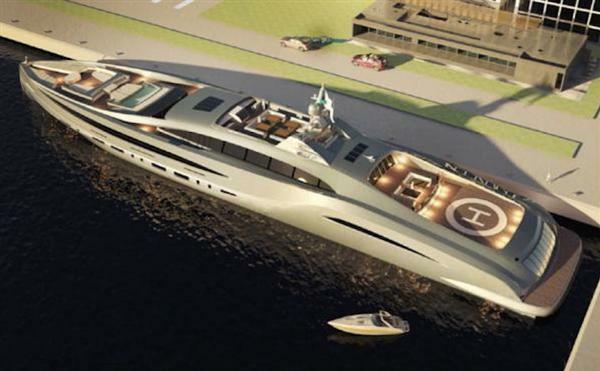 The SSY 125 yacht isn’t just an amazing machine, it’s a work of art in itself! Whomever ends up purchasing this yacht will own a piece of modern day history. unique outfitting and selections of materials. We have the general 3Ds of the boat finished for calculating the weight distribution analysis. The hull analysis of the boat has been made and it is ready for tank testing. Tank testing will only take a couple days and it will be done when the client has decided the interiors and the carbon or steel options for the super structure of the yacht. Vosper (for the stabilizer) and MTU have both done their study on the boat to evaluate their needs and have made their offers accordingly. We have the general electrical planning of the boat ready but before we have concluded with a client the final electrical planning of the boat will not be made. Ventilation and fire systems in). All of the Air Con studies took about 45 months with the Dutch Company Heimann & Hoffman. We also did all the interior studies in 3D and worked together with Emperio Armani Casa group for price calculation purposes. We have been designing and studying this boat for about 1 year and we would not do any further studies until one of our potential clients has actually signed up and we can go into the details that they would require it would just be senseless to continue because too many things could change. what we would be standby now. The teams are ready to start the production and do parallel the final customized design works. Carbon reinforced superstructure, instead of a standard composite construction. Custom limousine, based on the chassis of a Bentley Mulsanne and build by Mansory, Germany. With all necessary fixings and crane systems. Can be also used as golf patch etc..
will be foreseen in 3 main areas. Based on the configuration above, a construction of 36 months is foreseen, as long as no change orders will extend this goal. 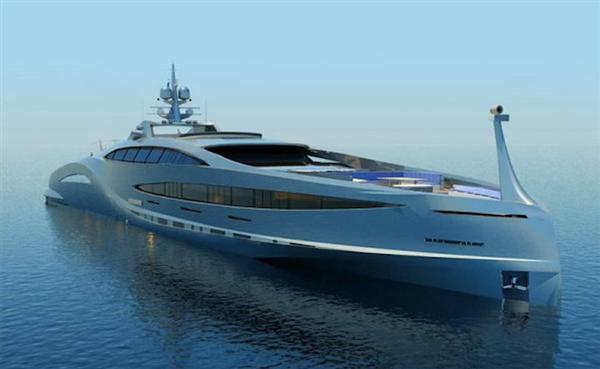 Starting the construction in 2015, the yacht would be ready for in 2018, in other words, three years construction time when ever order is signed. 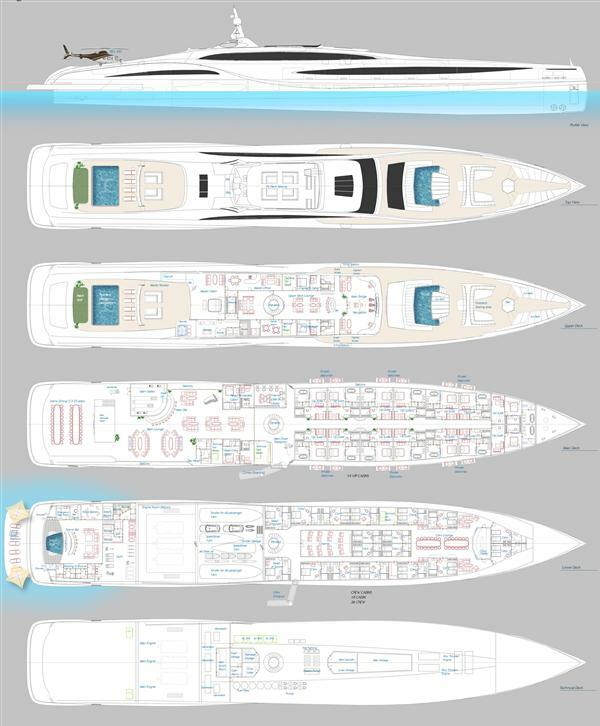 ​​​We are able to assist you to place your money in a investment program for a relative short time so you could then invest the profit into a New Built Yacht Project or your Preferred Refit Project. To get more information please get in contact with us.